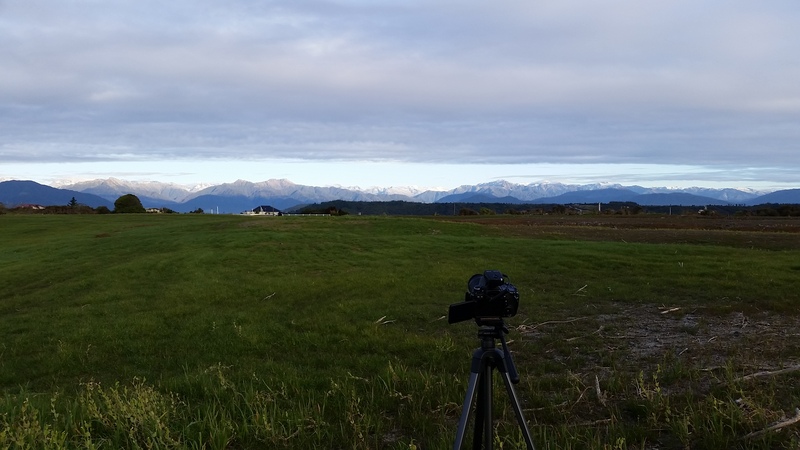 I’m a bit behind on updates in all the excitement going on with DEEPWAVE, plus exploring beautiful New Zealand, but here’s more about our first flight mission and some links to stay involved! Skew-T plot from 06 UTC Hokitika upsonde. We use these to tell us about the conditions at different levels of the atmosphere! Today was our first Intensive Observing Period (IOP)! We’ve been watching the weather and tracking Energy Flux (EF) and wind over South Island, NZ. There’s a chance conditions will allow for internal gravity waves over us, so NSF/NCAR’s HIAPER GV research aircraft took off from Christchurch at 6 pm. They’re recording in-flight data and releasing dropsondes from 41,000 ft while we launch upsondes (weather balloons + radiosondes to collect data) from Hokitika! Ceilometer Backscatter plotting above 4*10-9 m-1 sr-1 up to just after 4 pm local time. All the deep red reaching the ground (0 m on the vertical axis) is the rain we had today! I’m now tracking the 09 UTC upsonde and relaying its upper-air data to the HIAPER GV and the Operation Center in Christchurch. GV just let us know that the first two dropsondes were fastfalls, meaning their parachute didn’t deploy when released. The exciting news is that gravity waves are now being tracked over the ocean southeast of South Island! Next dropsonde is set for around 2230 local time. Relaying info to HIAPER and Ops Center! Until then, I’m corresponding with HIAPER GV at least until the 09 UTC balloon reaches 150 mb. HIAPER is set to land back in Christchurch around 3 am and has the two dropsondes to release before then. I’m very much looking forward to the days ahead with DEEPWAVE! View the detailed summary of IOP #1 and future missions here. If you’d like to stay updated on our experiment, check out our Field Catalog!